In Richard's words, "All tax is ultimately suffered by individual people, whether it is directly through their own tax returns, through their businesses and investments or through the goods and services they buy." Richard leads a team of tax advisers specialising in advising people on a personal level whether that be in connection with their individual tax affairs or the tax affairs of their families or businesses. As such he gives advice and guidance on personal tax and succession planning as well as overseeing the tax return process. He has won praise for his support for clients who have found themselves on the wrong end of a tax investigation. He has particular experience in working with owners and directors of property businesses, particularly investors and those with a Buy To Let portfolio. He also advises partners in professional practices. 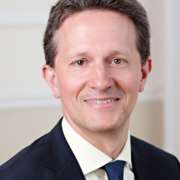 Richard has over twenty years experience in personal tax. He spent the first four years of his career working for HM Revenue and Customs before moving to the accountancy profession. He joined Goodman Jones in September 2000. Thanks to Goodman Jones, a long running investigation by HMRC has been resolved to my extreme satisfaction with a complete withdrawal and agreement that there was no tax to pay. Before this resolution, I had found the investigation to be incredibly disruptive and stressful. It would have been even more so but for the care and attention to the case from Goodman Jones throughout the process, which was exemplary. The original tax advice was proven to be accurate, but the support I received from the whole GJ team was much more than that. Right from the start they were committed to my cause. The tax investigations insurance that they put in place certainly helped considerably with the additional work that was required. Their attention to detail, determination, doggedness and tenacity enabled them to demonstrate compliance with international requirements which was a key turning point in our favour. They really couldn’t have done more to look out for me and I’m delighted with the outcome. Richard describes himself as a family man "which means I do enjoy golf, badminton, theatre, cinema, eating out and most of all spending time with my wife and daughters."